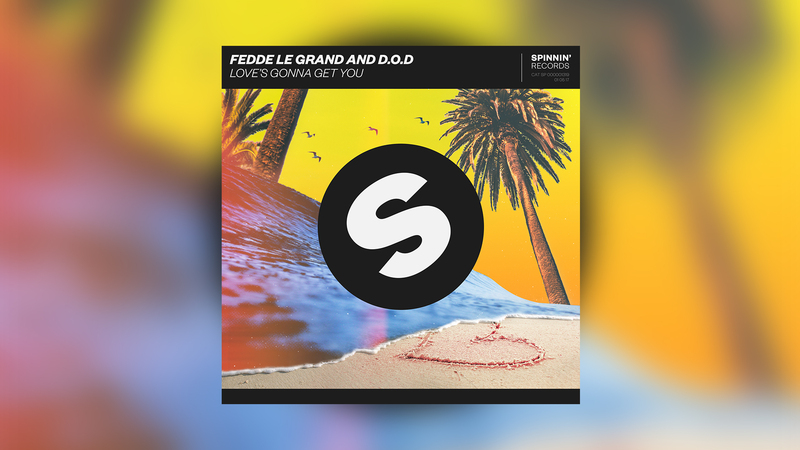 Fedde Le Grand is back at it and joins forces with D.O.D on a summery smash hit, 'Love's Gonna Get You', out now via Spinnin' Records. D.O.D cut his teeth in the clubs of Manchester before being scouted by Pioneer for his innate technical ability on the decks. Moving swiftly into the world of production under the supervision of Laidback Luke, D.O.D has since been supported by the likes of Martin Garrix, Hardwell, Tiesto and can now add Fedde Le Grand to his list. Linking up with dance music heavyweight Fedde Le Grand, the pair has dropped a record that will be making the rounds at festivals and clubs alike in the coming months. Huge builds and even bigger drops neatly combine their individual styles and turn 'Love's Gonna Get You' into a catchy dance cut with a punch. Le Grand, whose recent foray into tech-house with 'Dancing Together', which was met to great fanfare, continues this winning streak with 'Love's Gonna Get You'. Already climbing the DMC Buzzchart night 'Love's Gonna Get You' you will for sure be a welcomed addition to sets around the globe!